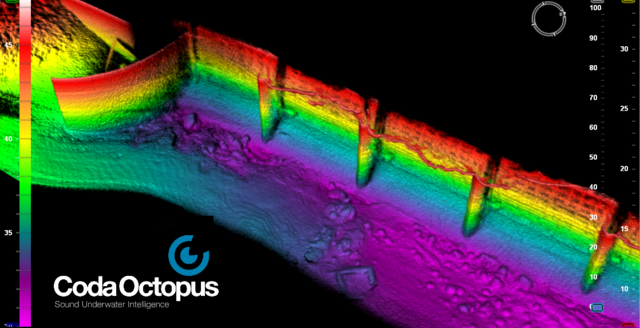 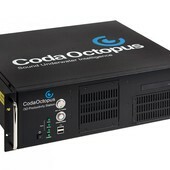 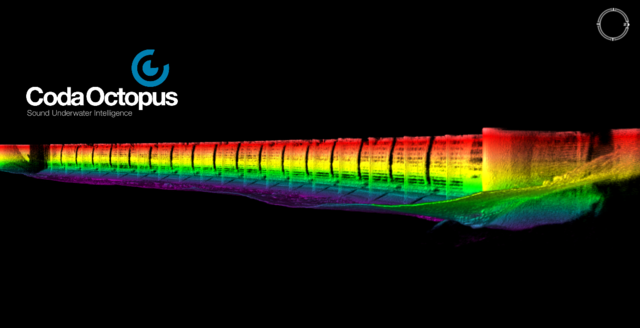 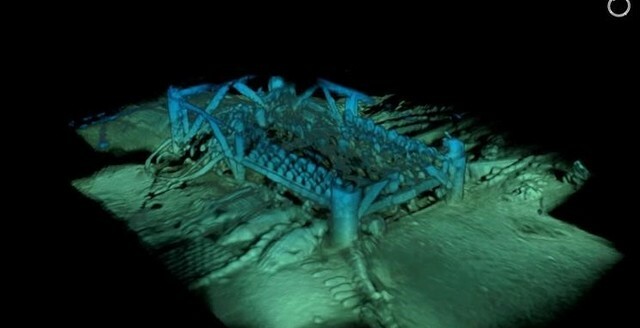 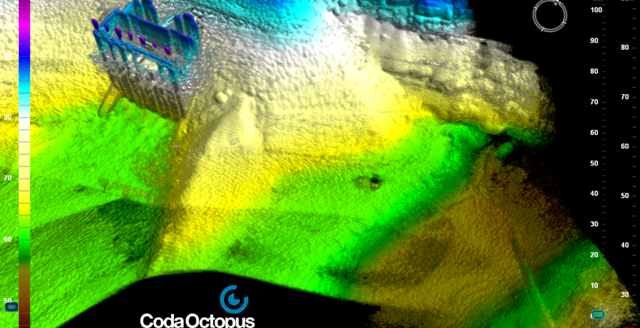 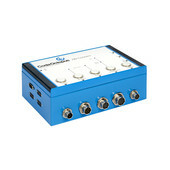 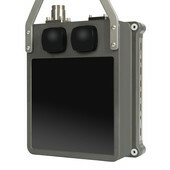 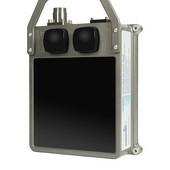 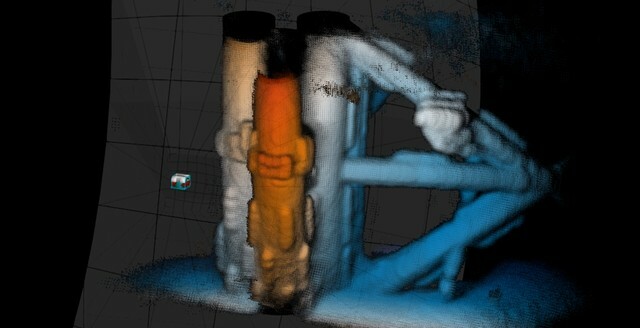 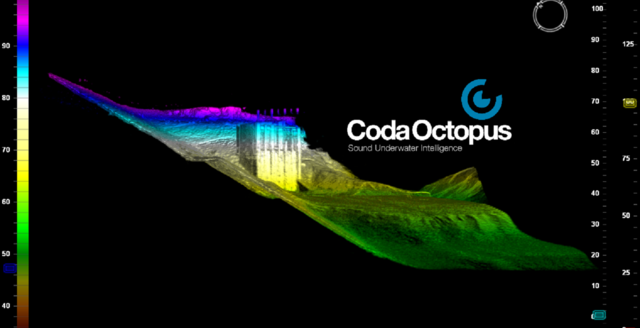 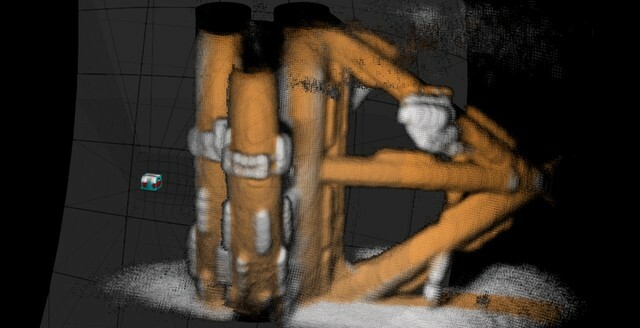 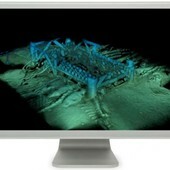 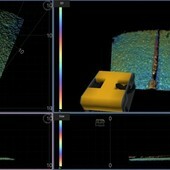 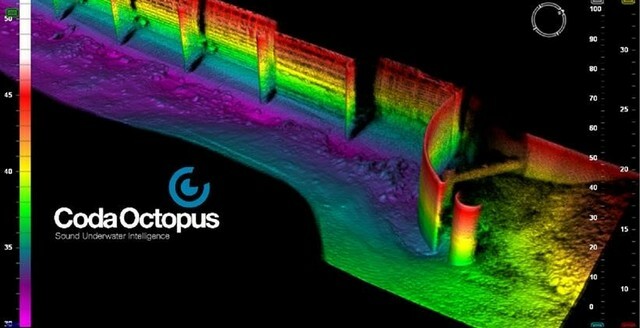 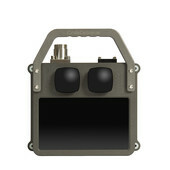 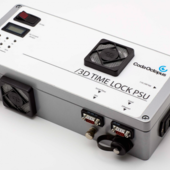 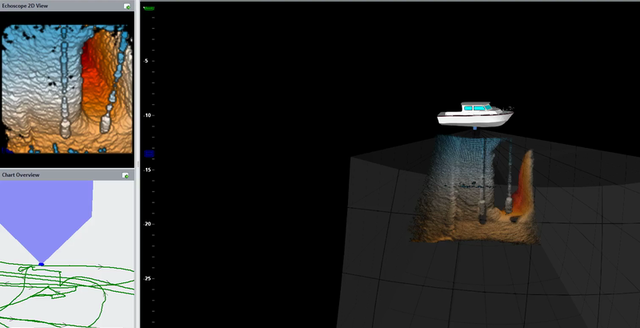 The Echoscope® combined with CodaOctopus® Underwater Survey Explorer (USE) software can either be used with almost any manned or unmanned surface vehicle or on AUVs or ROVs to give real-time 3D visualization of subsea objects, structures or features enabling further investigation or attention to the object. 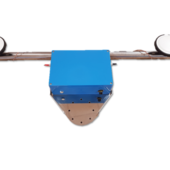 The proprietary beam forming technology allows the operator to see more around complex structures, increasing the likelihood of IED detection or contraband and evidence recovery. 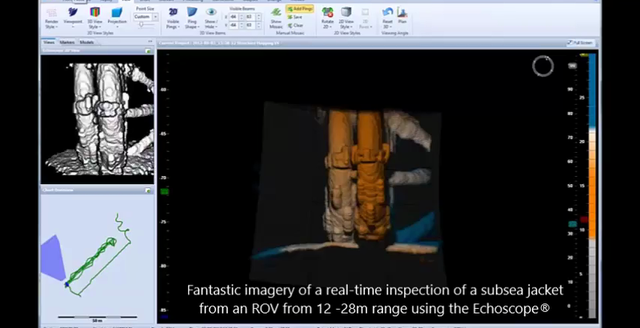 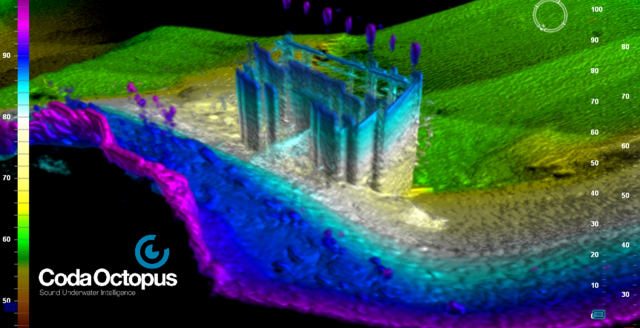 For complex structure surveys, whether as part of a routine maintenance survey or a response to an urgent problem, our real-time 3D sonars complemented with our powerful top end real-time 3D visualization software, USE, provide users with live, easy-to-interpret results for use by hydrographic and non-hydrographic trained personnel alike. 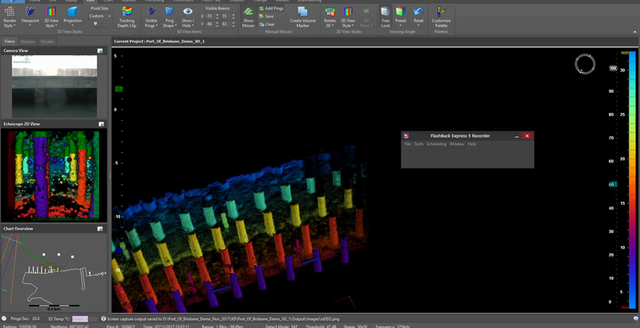 The USE Baseline Comparison Module automatically compares data on-line or recorded data with previously recorded data of the same area in order to make immediate comparisons and to identify critical issues such as scour or post-storm damage. 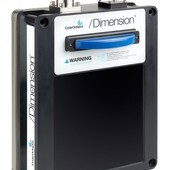 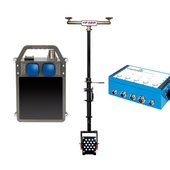 For precise positioning of the threat or hazard, the Echoscope can be combined with one of our range of MOTION products. 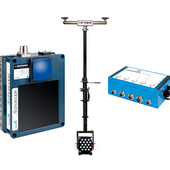 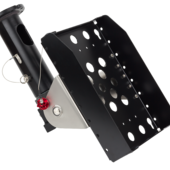 These provide a GNSS aided range of heading, attitude and positioning solution that can interface to any multibeam survey spread. 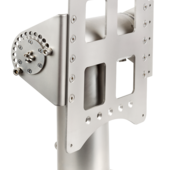 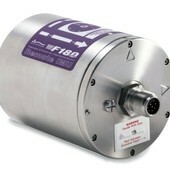 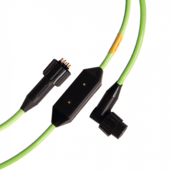 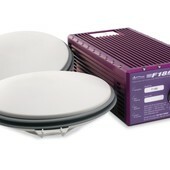 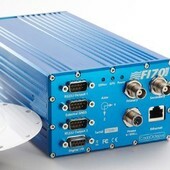 Our high end F180® series, from our MOTION family, can be delivered with a number of different RTK or differential positioning capability and frequency band reception antennae, which can dramatically improve accuracy of output and significantly reduce initialization times.